Displaying 1 to 50 (of 542 products)	order by Products Name. Avidin protein (Cy2) was chromatographically purified. Avidin protein (CY3) was electrophoretically purified. Avidin protein (Cy3.5) was chromatographically purified. Avidin protein (FITC) was purified by ion exchange chromatography followed by dialysis. Avidin protein (HRP) was purified by ion exchange chromatography followed by dialysis. Avidin protein (Texas Red) was purified by ion exchange chromatography followed by dialysis. Highly PurifiedPurified by chromatography. IEP Assay shows a single precipitin arc against anti-Avidin and anti-Peroxidase. PurifiedPrepared from chromatographically pure avidin. Assay by immunoelectrophoresis resulted in a single precipitin arc against anti-avidin. No reaction was observed against anti-streptavidin. Highly PurifiedPurified by ion exchange chromatography. IEP Assay shows a single precipitin arc against source serum protein and IgG. Molecular Biology GradePurified by chromatography. Affinity PurifiedPurified by affinity chromatographic techniques. 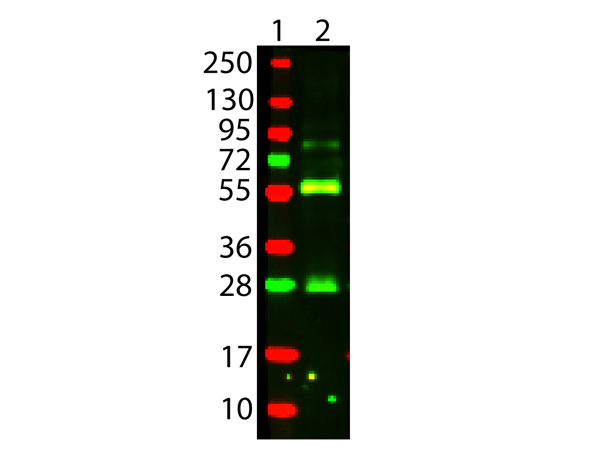 Avidin antibody was purified by Ion exchange chromatography. Highly PurifiedChromatographically purified. IEP Assay shows a single precipitin arc against anti-Avidin and anti-Peroxidase. Avidin protein (Glucose Oxidase) was purified by ion exchange chromatography followed by dialysis. Highly PurifiedPrepared from chromatographically pure avidin followed by dialysis. Avidin antibody (biotin) was purified by ion exchange chromatography followed by dialysis.